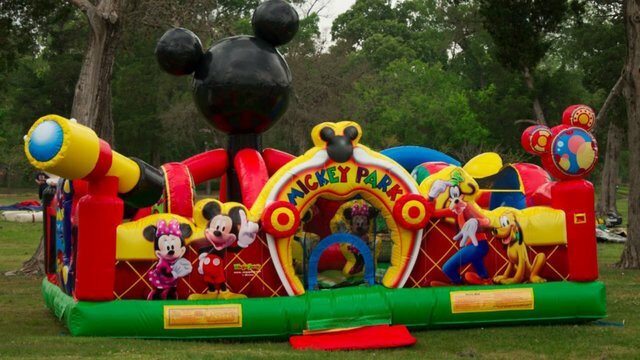 The Mickey Mouse Inflatable Toddler obstacle course is the perfect Disney bounce house for little girls and boys. Your little toddler can interact with various educational games with Mickey and Goofy as they play, name and count shapes, jump and slide inside this amazing interactive obstacle courses. This impressive 22' x 22' inflatable obstacle course is filled with colorful, 3D Disney character pop-ups and that your little ones will recognize instantly!